Song on Grey's Anatomy Thursday, May 8th! 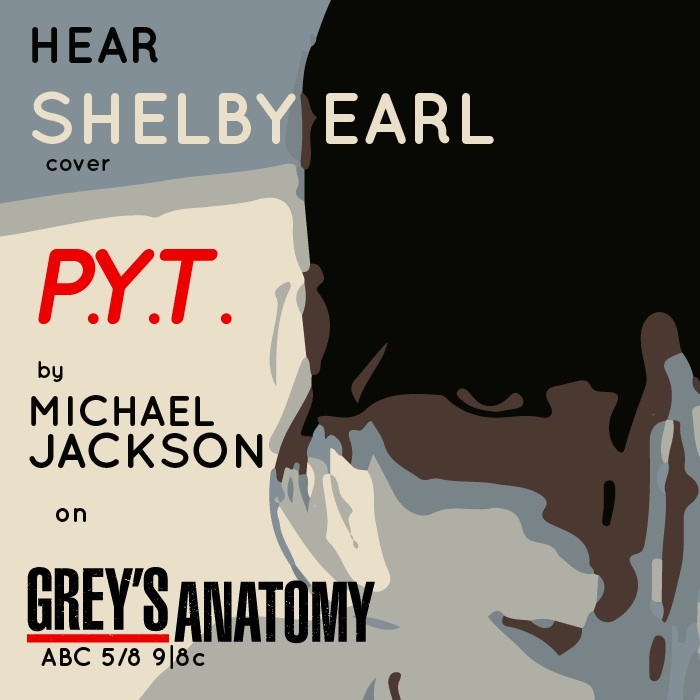 Tune in to episode #1023 of ABC's Grey's Anatomy THURSDAY, MAY 8TH at 9|8c to hear me cover Michael Jackson's "P.Y.T. (Pretty Young Thing)," produced by my super talented pal & bandmate Eric Howk! Swift Arrows on iTunes "What's Hot" Chart!